If you register for the series between March 1st and March 3rd, you will receive an emailed $15 coupon to use at the store! All coupons will be dispersed on March 5th! PLEASE REGISTER ONLINE BEFORE SHOWING UP TO YOUR FIRST RACE! 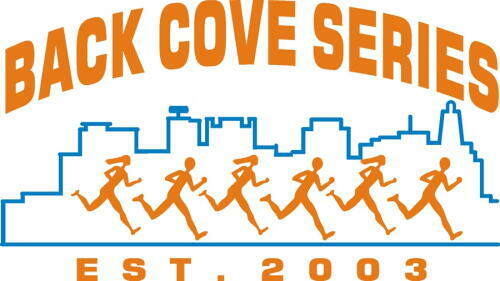 This year, our Weekly Back Cove 5K Series (WBCS) bib pickup will be happening every day starting May 22nd until 4:00PM on May 29th! If you are later than 4:00 PM, you can meet us in the Back Cove parking lot across from Hannaford, where the race starts, to pick up your bib! After the first race, the packet pickup will continue from 5:15PM - 6:00PM before every race! The series of races will start on May 29th and run every Wednesday night at 6:00pm until August 28th. For all check in questions and rules, CLICK HERE! TO CHECK INTO EACH RACE, CLICK HERE! NEW THIS YEAR - Due to the growth of the series, you will now have the option to buy a $10 race t-shirt with your registration! The deadline to register and receive a t-shirt is April 30th. Please note that all proceeds from the Weekly Back Cove Series are donated to Portland Trails! Over the past 3 years alone, we have been able to donate $45,000 to the maintenance of Portland Trails! June 5th is Global Running Day! Fleet Feet stores across the country are holding 5K races, called the Big Run! We have paired our June 5th Back Cove Race with the Big Run, sponsored by Brooks! Every participant in the Back Cove Series on that day will receive a commemorative Big Run Hat if they stop by the store and show their bib, post race! Not only will there be hats for the June 5th Back Cove participants, but we will be having a party immediately following Back Cove from 6:30 to 7:30 to celebrate running! All of this will be happening in the Portland Store, exclusively.